It's been awhile (April 2016 ðŸ˜³) since I've compiled a Friday FIVE list so I think it's high time I reintroduced it. I doubt I'll keep up with anything weekly, but I am hoping to hit one or two Fridays a month, because I LOVE to share things that I think are useful, inspiring, interesting, ingenious or just plain FUN. I just borrowed this image from the Mrs. Meyer's website, so you can click on it and go visit whenever you're ready. I wish that I could adequately convey HOW MUCH I LIKE cleaning products that smell good. I'm a HUGE Method fanâ€”got to see their HQ when I was in San Francisco a couple weeks agoâ€”and one of my newer favorites is Mrs. Meyers and especially the IOWA PINE anything ... hand soap, multi-surface or dish soap. Mrs. Meyer's Iowa Pine dish shop ROCKS MY WORLD. I'm lucky that my local grocery store stocks this stuff this time of year, but you can get it on Amazon, easy. I mean come on, I clean every single day and I enjoy it much more if I have a good podcast to listen to and IF my nose (and lungs) are filled with pleasing aromas. That's all. I'm just really happy that my soapy dishwater smells like pine again! It's NOT too early to shop for Christmas and if the Christian faith is important to you, then I'm guessing you'll LOVE this company, as much as I do. Wee Believers actually reached out to me via Instagram and I was like, Absolutely! I requested this Let Your Light Shine coloring book, an adorable Mama w/baby owl stuffed animal, from the Lil' Prayer Buddies line (these play music) and my FAVORITE ... this cool, colorful pillow with a pocket, where I can tuck notes to Addie and leave them on her bed. The pillow comes with pre-printed note cardsâ€”which I'm keeping with my scripture stuff so that I will remember to send her an "official" note every so often. I can easily tuck a letter, small toy or candy treat in the good-sized pocket as well. Whenever I'm approached by a company, I go straight to their "About Us" page. I want to read their story. I'm generally drawn to people and companies that are doing something for others because they recognized a need in their own life or situation. I know for me, I am more apt to receive inspired guidance when I focus not just on myself, but on what I can do for others as well. We make it our mission to encourage children everywhere to grow in virtue, build character and energize their passion for Godâ€”all while having fun! When I visited the site today, to grab that quote, I noticed that they have a REALLY AWESOME nativity line that is currently 25% off with FREE shipping! I'm personally wanting to take a really good look at our Christmas traditions and where I can, replace some of the more secular observations with things that invite the spirit of Christ into our home. 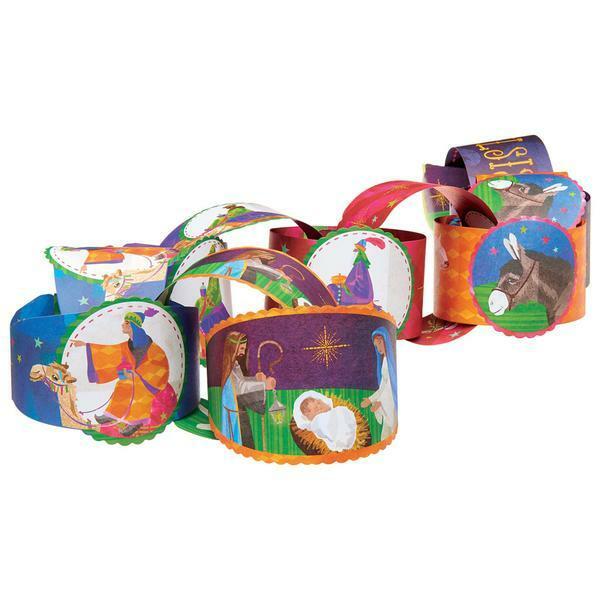 Doing simple things like hanging up an advent paper chain, instead of just a red & green one. Or replacing our Elf on the Shelf with The Little Lamb from Bethlehem (another great idea from a different company) Our world is getting scarier and scarier. I want to make sure I'm creating more and more opportunities to build faith in my children, and especially my sweet girl. I am intentional about teaching her the gospel of Jesus Christ and sharing the beliefs that have been a rock solid foundation for me. The world isn't holding back and since kids are more "connected" and exposed than ever before, I am all in with these kinds of efforts. We have a relatively small collection of FAVORITE kid books. Books that have proven themselves over many years. Books like Enemy Pie, Library Lion, Our Tree Named Steve ... but this book, which we received in 2015 has already made the cut. It has already been inducted into the Julian's Hall of children's books FAME. Addie LOVES it and so do I.
T.L.C. is about a girl who wants to give her mother what she has asked for, and desperately needs after a long, hard day ... a little T.L.C. But, there's a problem. 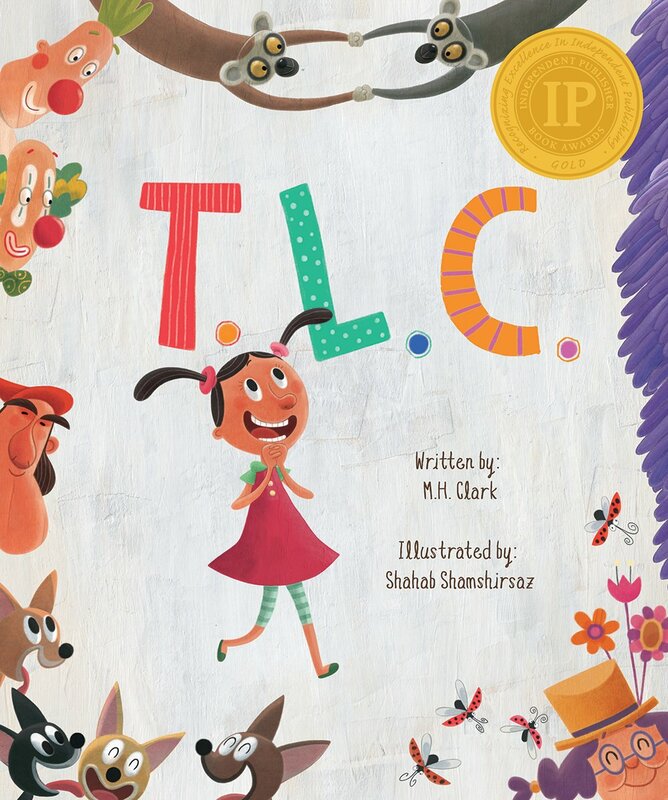 The little girl does not know what T.L.C. means. And, trust me, when I tell you that a wildly FUN adventure unfolds or more accurately explodes as she tries over and over again to discover the meaning and ultimately please her mother. I refuse to spoil your opportunity to experience this book for the first time, but I will tell you that when her Dad walks in, he says ... This Looks Crazy! Yep. There is such a thing as a waterproof notepad. I purchased one for Geoff and put it in his stocking for Christmas last year. He had said something along the lines of "I get so many good ideas in the shower, too bad I can't write them down." He's hard to shop for, so I sat right down and did an Amazon search and sure enough! We haven't really used our shower pad for capturing brilliant ideas as much as leaving notes now and then to each other. I found this one the other dayâ€”legit. From my husband!! You better believe I took a picture, almost before I got dressed, ha! But anyway, it's a FUN gift that is useful and affordable ($7.70) and it just made my week, so I thought I'd add it to my list. FIVE. My FAVORITE scripture right now. My One Little Word for 2016 was PRAY and while I have a new word this year, I am still focusing my scripture study on prayer, and this effort has changed my lifeâ€”as all longterm efforts do. Since January 2016, I have looked up most (if not all) references to prayer in both the Old and New Testaments and marked them. I have read and listened to General Conference talks, collected quotes, done a ton of cross referencing, note taking and pondering. I am almost done reading an inexpensive paperback copy of The Book of Mormon, marking every reference to prayer or teachings about prayer and noting those with my thoughts at the back of the book. This verse, found in Alma 37:37 is my current favorite. Each time I read it, I ask myself whether I'm going through the motions or whether I'm counseling with the Lord. I've felt many times over these months that the Lord does in fact want to counsel with me. I have been filled with the spirit of the Holy Ghost. Heavenly Father desires to guide me and give me opportunities to grow and serve and do good. He is aware of me, as he is ALL of his children, but he respects the agency he has given us such that he needs us (me) to initiate these counseling sessions. We can and will receive his help as we ask and seek for it and as we knock. When I kneel at my bed, am I simply rehearsing my laundry list of needs and desires (before falling into bed) or am I engaged in a conversation? Am I listening? I think often ... are my actions reflecting what I tell the Lord I want? In other words, am I doing my part to see blessings unfold? What I've enjoyed most about this personal focus on prayer is that I have been at it long enough that I can figuratively look back across the ups and downs, and see a gradual up slope. My ongoing hits and misses are slowly but surely working a change in me. I'm learning that when it comes to eternal progress, 30 days isn't enough. At least for me. So, as I have thoughts of a new year and a new word, I'm considering my relationship to this one and feeling I will keep in close a little while longer. Earlier today when I was waiting for Addie at her tutoring appointment. I designed this image with my Rhonna Designs App, so I could share it here (you're welcome to take it) and now I think I'll turn it into a magnet for my fridge too. I need to SEE these words frequently, to remember what I have the privilege of doing morning and night and throughout the day.